Many of the Anxiety Research and Treatment Lab’s collaborations are with colleagues at the Anxiety Treatment and Research Clinic (ATRC), at St. Joseph’s Healthcare Hamilton, which was founded by Dr. Martin Antony in 1998. Lab members conduct research with a number of colleagues at the ATRC, including Drs. Randi McCabe, Irena Milosovic, Karen Rowa, Philippe Shnaider, Richard Swinson, and others. The lab also collaborates with a number of faculty members at Ryerson University, including Drs. Stephanie Cassin, Becky Choma, Todd Girard, Trevor Hart, Naomi Koerner, Janice Kuo, Candice Monson, and Kristin Vickers, to name a few. Other recent and ongoing collaborators include Drs. 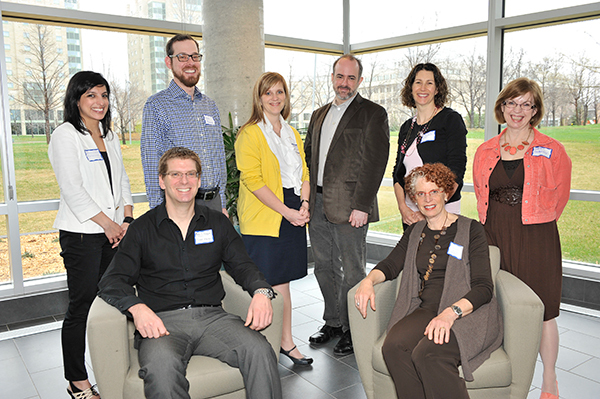 R. Nicholas Carleton (University of Regina), Michael Constantino (University of Massachusetts at Amherst), Nichole Fairbrother (University of British Columbia), Jan Fleming (University of Toronto), Daniel Gros (Medical University of South Carolina), Nancy Kocovski (Wilfrid Laurier University), David Moscovitch (University of Waterloo), Martin Provencher (Université Laval), Christine Purdon (University of Waterloo), Pasquale Roberge (Université de Sherbrooke), Simon Sherry (Dalhousie University), Louis Schmidt (McMaster University), Laura Summerfeldt (Trent University), Henny Westra (York University), and others.